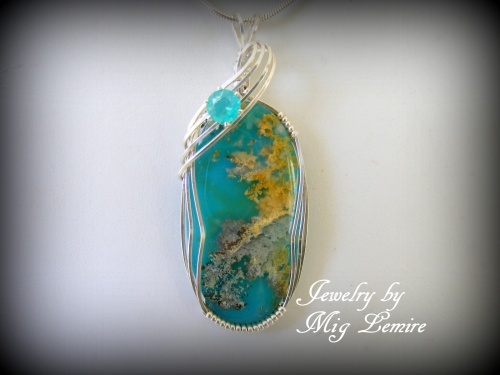 This gorgeous Regency Plume Agate Cabochon Doublet gemstone is adorned with a 3/4 carat blue opal faceted stone draped in a sterling silver design. This piece is striking,unique and one of a kind. Measures 2" long from top of bail to bottom of pendant and 3/4" wide. Comes with a sterling silver snake chain.